CSIR recruitment 2017 notification has been released on official website www.csir.res.in for the recruitment of 03 (three) vacancies for Research Intern. Walk-in-Interview 16th December 2017. 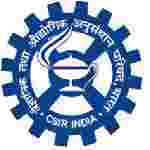 Here on this page you will get the details like the Name of vacancies released by CSIR with exact number of posts. Some other criteria like Education details, application fee and way to apply application for CSIR recruitment 2017. Educational Qualification: Minimum 60% marks in M.Sc /BE/ B.Tech/ MCA broadly in the area of programming Information Technology / Computer Science. Interested and eligible aspirants may appear for the Interview along with prescribed application form, latest passport size photograph, original and self-attested copies of all certificates/testimonials at the time of Interview.